And how is the lake ? Not that bad. Mountains around it, with tropical bush/ forest. Total wilderness, almost nobody around. Almost -as there are some people who live near the lake. Some houses every now and then. People sit in front of their homes on the white plastic chairs, watch the road, and talk. 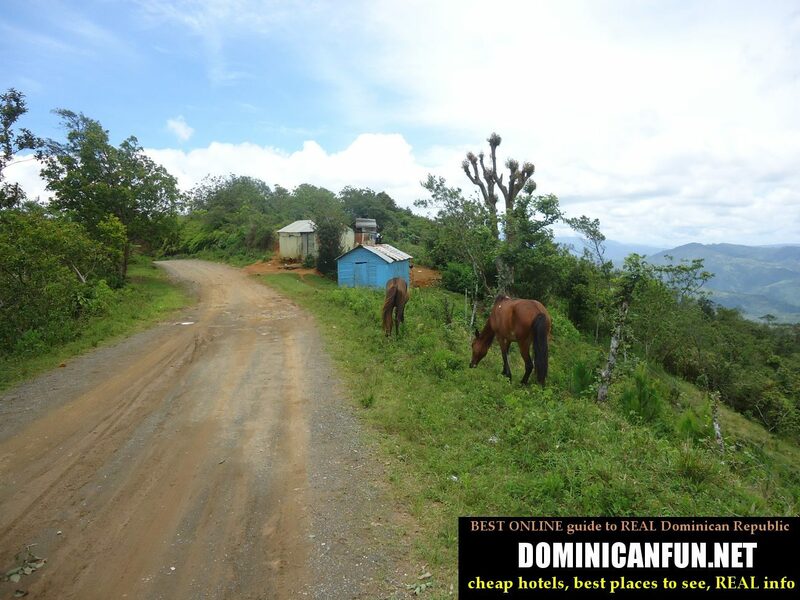 Yes, this is the typical view for the Dominican Republic ;-))) Some horses (ideal for transport here, believe it or not...) and cows here and there and some chickens. 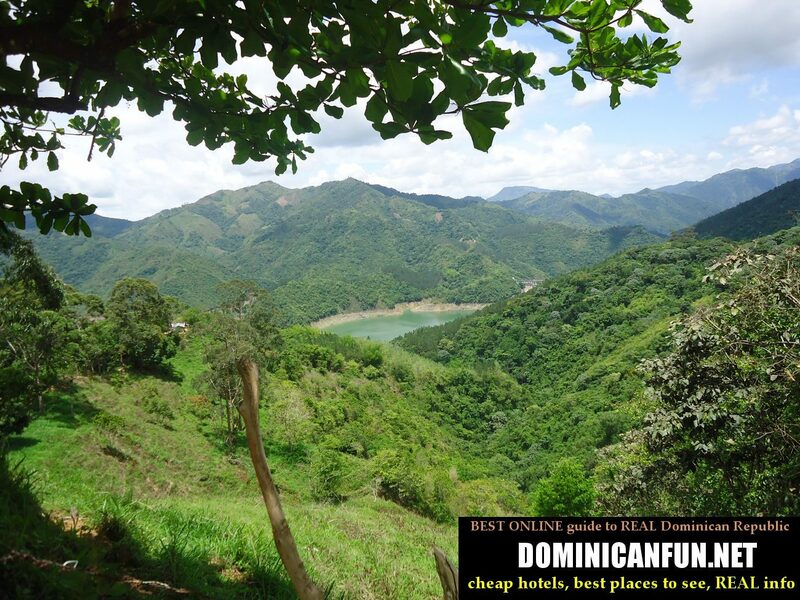 So San Jose de Ocoa area is a nice region, with scenic views. The problem lays though in the quality of the roads - to fully enjoy it, you would have to have to some ATV or good crossbike here. My 110 cc, which was made for "normal" roads in the cities seems to beg me for mercy. I wanted to go directly from San Jose de Ocoa to Constanza....But I skip this plan. Even the local people says to not go there - and if usually crazy & brave Dominicans say so - that means a lot.